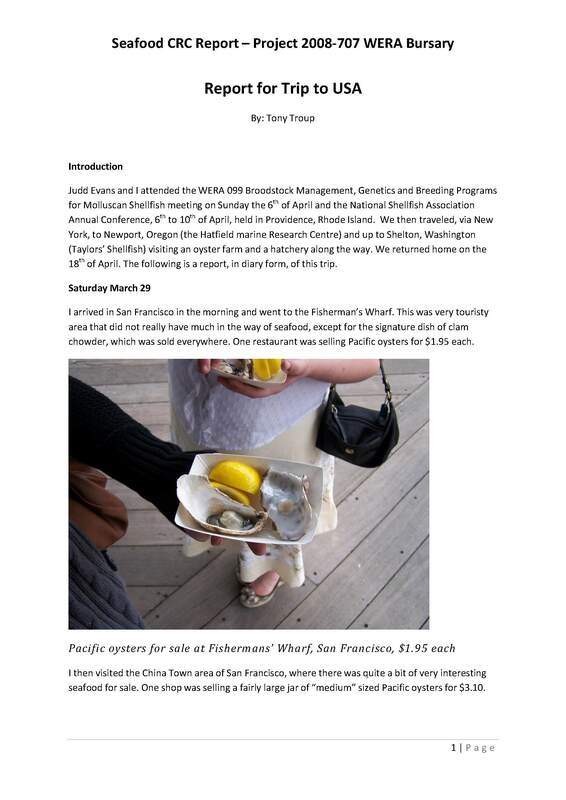 Judd Evans and I attended the WERA 099 Broodstock Management, Genetics and Breeding Programs for Molluscan Shellfish meeting on Sunday the 6th of April and the National Shellfish Association Annual Conference, 6th to 10th of April, held in Providence, Rhode Island. We then traveled, via New York, to Newport, Oregon (the Hatfield marine Research Centre) and up to Shelton, Washington (Taylors’ Shellfish) visiting an oyster farm and a hatchery along the way. We returned home on the 18th of April. The following is a report, in diary form, of this trip.